Kyle is driven by teamwork. He aspires to help the team to provide business owners with solutions to the ever-changing business landscape. 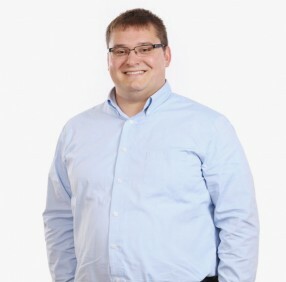 Whether clients need forward-looking data to identify trends, help with preparing financial reports or researching a tax questions, Kyle works in the trenches to provide the answers to those opportunities and challenges. Kyle began his public accounting career by joining the Kirsch team in 2016. As an analyst, he specializes in preparing business and individual tax returns, identifying tax planning opportunities, and executing bookkeeping and other accounting services. Kyle is an avid Cincinnati sports fan. Outside of the office you will find him cheering on the UC Bearcats, catching a Reds game or watching a Bengals game. Kyle spends his weekends hanging out with family and friends.